Visit the Albany Boatshed Markets this Sunday and soak up the relaxed atmosphere and great live music by Geoff “Rev” Waldeck down by the harbour. 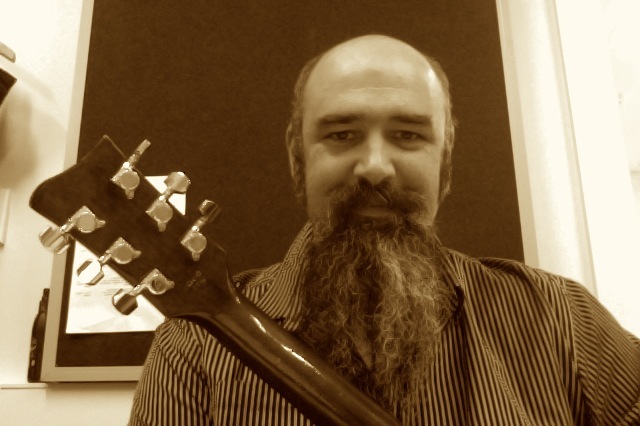 Geoff, one of our talented local artists, is an established singer-songwriter and musician who has performed live as a soloist and in a number of bands over the last 15 years or so. He is a big fan of music that is classified in the blues/folk genre, and his own writing has been inspired by listening to such singer-songwriting musicians as; Joe Henry, John Hiatt, Keb Mo, Jakob Dylan and Paul Kelly. Take time out at the Market to re-stock your pantry for New Year celebrations with local fresh and gourmet produce; enjoy wine tastings from our Great Southern Wine Producers; and shop for unique gifts and items hand crafted by local artisans.